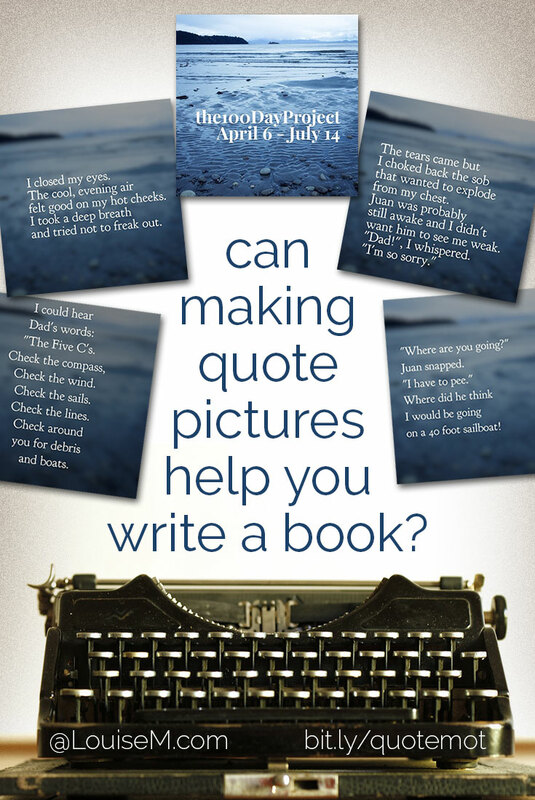 Can Making Quote Pictures Motivate You to Write a Book? 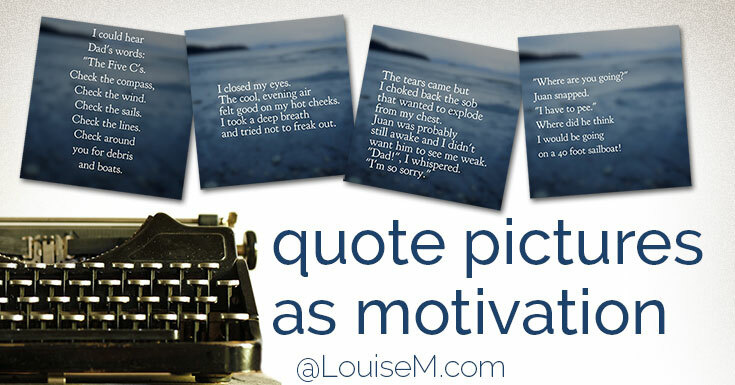 You are here: Home / Social Media Tips / Can Making Quote Pictures Motivate You to Write a Book? Can making quote pictures motivate you to finish another project? Seems like a leap, right? You’re already too busy (too scattered, too something) to find time to write, or finish writing, a book (or whatever your big, scary project is). So how could adding more to your plate help you get that done? That’s why I was fascinated when I saw what Tara @holisticsailor was doing on Instagram. I asked her to tell her story. Read and enjoy! I have a beautiful quilt half-finished; a sweater for my husband almost finished except for one sleeve; an embroidered square of Maligne Lake in Jasper National Park partially finished; and an almost finished first draft of my book, “Into the Eye” all within arms-reach of this computer. I left my heroine in the middle of the Pacific Ocean in 2011 and she has been patiently been waiting for me to get on with telling the story. So when I saw another Instagrammer declare their commitment to @elleluna’s #the100dayproject, I jumped in with both feet caught up in the wave of community creating something for 100 days. It sounds very impressive, doesn’t it? 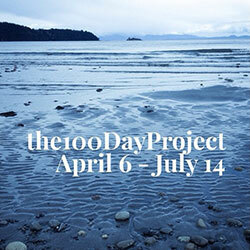 One hundred days, not 10 or 30, but 100 days of pure creativity. This public declaration on Instagram would help me finish this book. This project began just like all the other projects, with inspiration and excitement. Shortly into #the100dayproject I realized that I should have started earlier in the story, so at day 10, I jumped to an earlier point in the plot line in order to not give away all the twists that lay ahead. I figured that very few people were reading my Instagram posts anyways, so I could make this adjustment in the telling of the story. And then people (not lots of people, but people none the less), were reading my writing. Encouraging me to write more. Oh my gosh. I hadn’t really considered that I might actually be promoting my book in this way. I had a wee audience. Honest to God, warm-blooded people who could double-tap their likes and type comments. Squeezing words onto the screen of an iPhone is an awesome editing exercise. Each segment of the story had to make sense on its own, away from the other pages of the book. The organic process that has evolved from committing to this project has actually moved me forward with my book. Since social media is about being social, I engage with my little band of readers who might have questions about what is happening to the characters. The book is unfinished at this point in time, so there is room for discussion and change – in fact, I welcome it. I am inspired by the other 100-dayers who, amid the struggles of their lives, have the courage to express themselves through this challenge. I double-tap my approval to show them that their creativity matters. Louise again. I’m so impressed by this process! Engage your audience in your project, and they have a vested interest. I’m betting Tara will have a much more successful book than if she’d suddenly let her followers know that she’d published a book. And the graphics – they don’t have to be designer-made. Tara picked a simple background and font, and used that for all her images – creating continuity for her fans, as well as simplicity for herself. 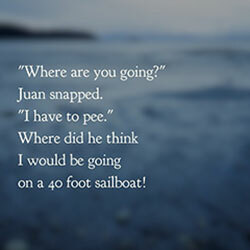 Tara wrote a post describing how she created the quote graphics in WordSwag. For easy graphics tools YOU can use, read Design Tools for Non-Designers. Pick an app that will work for you – and get started! Think about how you could modify Tara’s experiment in your business. What could you say? Where would you post? Consider where you could get engagement. Pinterest is great for visuals (and if you use it, do post your graphics there!) but not the best for conversation. Facebook, Twitter, Instagram, and maybe even LinkedIn – where does your audience hang out and engage? Now, your turn! How could you turn making quote pictures into a motivational exercise? Thanks very much for featuring my writing adventure through Instagram on your blog. I hope that it encourages someone else to keep creating. Thank you for sharing your story, Tara! And best of luck. Thank You Tara for doing it and doing it publicly. Thank You Louise for bringing it to everyone’s attention. Since I’ve discovered my flair for writing quotes, I have the dream of marrying that gift with my gift for digital design. Exactly two years ago, when I started my dental journey, I even set up a blog at http://www.SayItWithAQuote.com, but I’ve never followed through on the blog. I have been writing quotes, I have been posting them religiously on Twitter, but none in image format and none on the blog. My idea was to post one-a-day on the blog, in preparation for bigger projects, but it never transpired. Maybe it’s time to revisit the journey in a different way, inspired by what Tara is doing. I have to give this some NEW thought. THANK YOU Tara for being brave enough to find a way to follow your own dreams and goals, AND… for finding a way to inspire so many others. As someone once said to me, about my quotes, for every person who is responding, there is a large audience who are being inspired, but are NOT responding. Good luck Tara, and good luck to me and others who find encouragement and inspiration from your journey. Thanks very much for your kind words of encouragement. This has been a huge learning curve for me too. The book is almost writing itself now. I just wish that it would do so earlier in the day! Best wishes with your blog and creative projects. Fascinating! I always thought of Instagram as a totally visual media with no possible linkage to a complex undertaking like writing a book! Well done, Tara. A question: did you change the background of the quotes? Of did you use the same image for 100 days? I believe it’s the same background. I recommend this for consistency. We might get bored of making similar images, but our followers are bombarded with images so I believe it’s helpful to have some continuity. Louise is correct. I used the same image for the background. 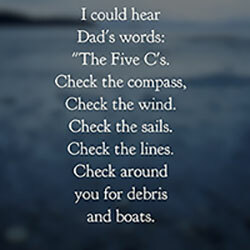 I explained on my blog how I made the images using the WordSwag app. People have found it easier to follow the story by looking for the images in my IG feed. Thanks for your interest and kind comments.